Recently, the Economic Alliance Houston Port Region became one of the newest members of the national Dream It. Do It. network with the creation of the Dream It. Do It. Southeast Texas chapter. The Dream It. Do It. program is comprised of 35 sites in 34 states, reaching 365,000 students nationwide. The program was created by The Manufacturing Institute to combat negative perceptions about careers in manufacturing industries. Based upon a successful inaugural year, the Economic Alliance requested and was granted 501c3 status in October 2015. Governance of the foundation is managed by a volunteer board of directors. Because the Education Foundation is still in its infancy, the organization is still welcoming inquiries about board participation. The mission of Dream It. Do It. Southeast Texas is to facilitate communication and action to build a skilled workforce in the Southeast Texas region. To accomplish this mission, the program begins by informing students, educators, and parents of careers in petrochemical, manufacturing, logistics and construction industries through a variety of programs and activities. This program focuses on recruiting local industry employees to speak to audiences from junior high to community colleges, about careers in the industries. The Speaker’s Bureau reached approximately 4,000 students, educators, and parents between the 3rd and 4th quarters of 2015. There are plans for even greater outreach in 2016. Dream It. Do It. Southeast Texas offers experiences beginning at the junior high school level and continuing through high school. Young professionals in the industry would be valuable members of the Ambassadors program and provide a boon to the Speaker’s Bureau program of seasoned professionals by virtue of being young and relatable to the students we are presenting to. The YMSA program introduces students to advanced manufacturing through hands-on activities and simulation-based learning, travel to industry locations for on-site interaction with manufacturers, and a mock career fair capstone event. Students’ families are invited to the career fair as a parent/guardian encouragement, because support is a critical component in the decision-making process about education and career choices. The YMSA schedule includes tours, hand-on activities by local industry representatives, a tour of the Port of Houston,and other program activities supported by a curriculum provided by the National Association of Manufacturers. Sandvik Coromant, a Dream It. Do It. Southeast Texas partner, supported the initiative through sponsorship of the first inaugural Young Manufacturer’s Summer Academy in July 2015. Manufacturing Day (MFG. Day) is Oct. 7, 2016, and will address the misconceptions about jobs in the MFG and petrochemical industry by providing an opportunity to showcase what their industries are all about. By working together during MFG Day, employers will begin to connect with future generations to address the labor shortage and ensure the growth of the regional industry. Last year, 19 companies participated by providing job shadowing opportunities for teachers, speaking to numerous students and educators and providing tours of their facilities. Anticipating another positive outcome, Dream It. Do It. Southeast Texas looks forward to celebrating Manufacturing Day again this year. Because of the tremendous early success of the Dream It. Do It. Southeast Texas programs, the Economic Alliance has hired a full-time program manager, Denise Smesny, who will be responsible for oversight of all Dream It. Do It. Southeast Texas activities. 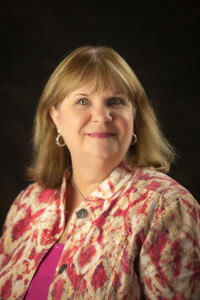 A retired educator of 28 years, Ms. Smesny has taught a variety of subjects including Vocational Home Economics (Lee College), English, Creative Writing, Reading, Computer Literacy, and Cisco Networking (Goose Creek CISD). In addition, Denise has been a district level Instructional Technology Specialist (Goose Creek CISD) as well as coordinator and director of Instructional Technology, Libraries, and Career and Technical Education (Sheldon ISD). In addition, Mrs. Smesny served as the program director for the 1:1 Nova 5000 hand held-computer project in Goose Creek CISD. The program manager position is a highly-visible, public-facing position in charge of the direction, strategy, outreach, and effective management and implementation of the regional workforce development programming of Dream It. Do It. Southeast Texas. Ms. Smesny will act as the primary point of contact for Dream It. Do It. Southeast Texas and the Economic Alliance Houston Port Region on all workforce programming-related tasks. “Denise’s outreach experience in educational conferences including, the Texas Middle School Conference, Texas Computer Educator’s Association, Region IV Technology Conference, Texas Career and Technical Education Conference, and the East Texas Historical Society, will be invaluable in communicating the career opportunities available in the manufacturing, petrochemical, logistics, and other related industries, along the Houston Ship Channel to a variety of audiences throughout the region,” said Chad Burke, president & CEO of the Economic Alliance Houston Port Region. The Dream It. Do It. Southeast Texas educational foundation is a tax-deductible 501c3 non-profit and is actively seeking sponsorship from business and industry leaders. This is an exciting opportunity to support an organization doing grassroots work in the area of raising awareness of careers in the petrochemical, maritime, manufacturing, and construction industries. Sponsorship of our organization ensures that the return on your investment will be seen directly in the organization’s programs . For more information on how to become a part of this movement, please contact Denise Smesny at denise@dreamitdoittx.org.